Competitive Edge Head Strength Coach and Owner Matt Wattles wears more than one hat. In addition to Competitive Edge, he is also a Founder and Co-owner in Movement Guides, Inc.
Movement Guides is the culmination of decades worth of knowledge, experience and work of Matt and his business partner Kyle Sela in the fields of strength and conditioning, athletic development and rehabilitation. Movement Guides is one of the premier Athletic Development and Movement Efficiency companies in the United States. Movement Guides designs, builds, manufacture, and sells human movement efficiency improvement products. We also develop training programs that help people and athletes move better and more efficiently. Our products and programs are used in the medical, fitness, wellness, sports medicine & elite athletic performance markets. Our clients include the New England Patriots, New York Yankees, Boston Red Sox, St. Louis Cardinals, Duke University, University of Oregon, University of Oklahoma, Andrews Institute, Exos – Human Performance, U.S. Army, Army Rangers and dozens of other prominent companies, colleges and institutions. In early 2016 BodyBuilding.com empowered some of its employees to create a new nonprofit organization that would better align with the company’s goal of promoting health and wellness. What was born was the Lift Life Foundation. 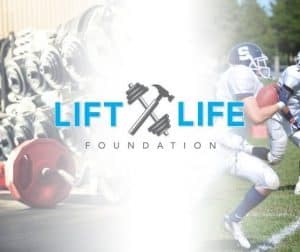 The Lift Life Foundation is a nonprofit organization that serves students at underfunded high schools across the United States by completely transforming their old, dilapidated and unsafe weight rooms into state-of-the-art facilities with brand-new equipment. 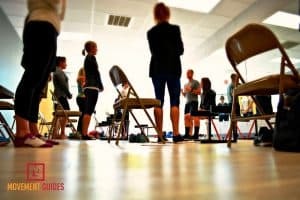 Their mission is to give underprivileged students access to the tools they need to improve their fitness levels, boost their self-worth, and to become the best versions of themselves, both physically and mentally through exercise. In a very short time frame, Lift Life has now completed 4 projects. The transformations are chronicled by an incredible video production team and the final short films of each project are extremely inspiring. These are available to view on their organizations web page at www.liftlifefoundation.org. Watch how Lift Life Foundation is making a significant impact! Each school that has been chosen was first nominated via video submission by a student, teacher, staffer or parent. Once a pool of nominees is gathered, the board makes their decision. So far the communities have hailed from Idaho, Kentucky, Indiana and Montana. The next school up is in Chicago, IL (Fall 2018). Movement Guides is another Treasure Valley company looking to make an impact on people’s lives for the better. “As soon as we heard about what this foundation was up to, we knew we had to get involved,” said Matt. “Our company designs and manufactures unique pieces of fitness equipment and also creates educational content revolving around helping people move better.” Movement Guides first heard of the Lift Life Foundation in the Fall of 2016 just after their first project in Firth, Idaho was complete. “We knew that we could help by not just donating equipment, but by educating the students and coaches on how to move correctly and perform their exercises safely so that these new weight rooms can be maximized to their full potential.” Movement Guides was able to be fully involved by the time Lift Life was planning their project in Anderson, Indiana. Anderson Preparatory Academy, on the outskirts of Indianapolis, was particularly interesting to another Movement Guides co-founder, Kyle Sela. Kyle was a former US Army Physical Therapist, Soldier and Iraq War veteran. “This wasn’t a prep academy for rich kids. Anderson is a struggling town and the kids in this school are there to learn discipline, respect and hard work. It’s military ties really hit home with me and it was incredible to see those kids’ faces when at the unveiling of their new facility,” said Kyle. Since the partnership, Movement Guides has been named the Official Athletic Development Partner of the Lift Life Foundation. In this capacity, we not only provide our equipment and training on the equipment, we are educating high school athletes and their coaches on proper lifting techniques, athletic development and how to move more better and more efficiently. Movement Guides has now implemented one of their licensed course, Movement Essentials, as well as their athletic development and programming design principals to High School athletes and their coaches throughout the country.